When New York based artist Fahren Feingold finished studying (at Parsons school of Design and the Glasgow School of Art) she worked in fashion design for labels including Ralph Lauren, L’Agence and J Crew before gravitating back to illustration. 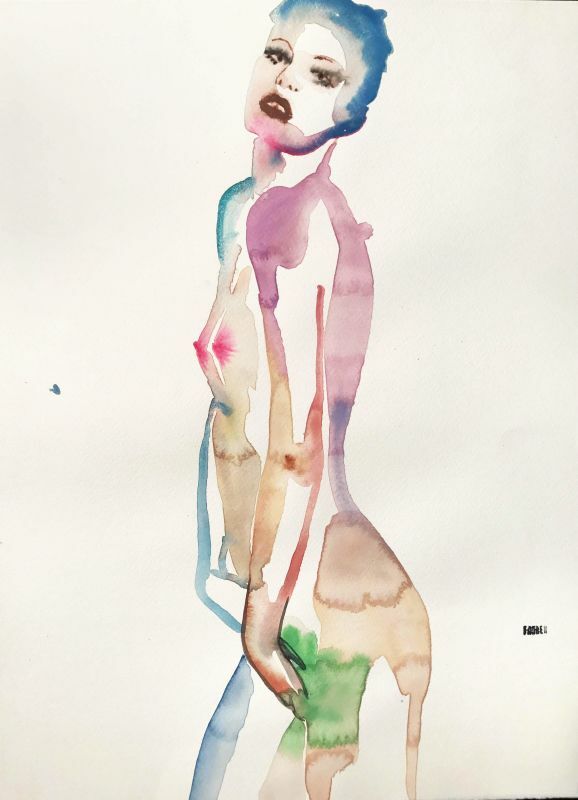 In her latest show – with downtown Manhattan’s Untitled Space – she has joined forces with lingerie firm Fleur de Mal on a series of sensual watercolours. The Peep Show has been inspired by early 20th century French erotica and vintage American magazines. The show runs until 8th July at 175 Mott Street, NYC.